The countdown to Memorial Day weekend is on, which means you’ve got to start thinking about what’s on the menu for you and your friends. 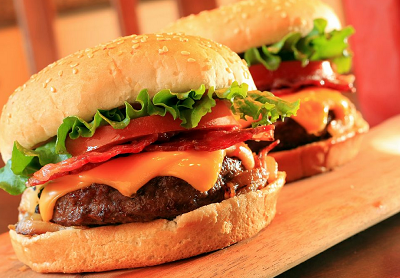 We suggest Filet Mignon and Brisket Burgers, Smoked Bratwurst, maybe some handmade Italian Sausage, and of course – some delicious side items. We’ve collected a couple simple recipes for your side dishes that are sure to draw your friends in for seconds and maybe even thirds! Hop onto the Passanante’s Home Food Service Facebook Page and share the recipes your family loves most – we would love to add them to our recipe album! Let the wedges soak in salted water for 30 minutes to release some of the starch and allow the fries to crisp up in the over. Sprinkle on a touch of your favorite seasoning. We recommend a mixed Italian or Cajun/creole seasoning. 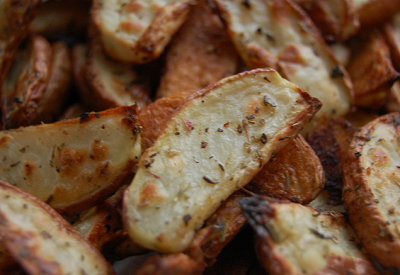 Pop the homemade fries in the oven for 15-20 minutes for softer fries and 25-30 minutes for crispier fries. Drain and cool eggs under cold running water or in a bowl of ice water. Peel the eggs. Halve the eggs lengthwise and place the yolks in a food processor. 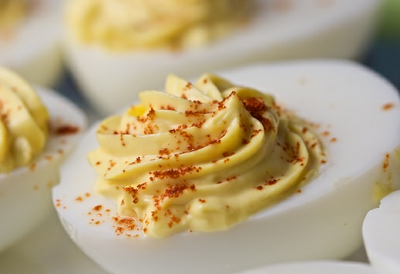 Add ¼ cup plus 2 tablespoons of crème fraîche and 3 tablespoons of mayonnaise and process until smooth. Transfer to a bowl. Stir in 3 tablespoons finely chopped cornichons, 2 tablespoons finely chopped red onion. Fill the egg halves with the yolk mixture. This entry was posted in Beef, Recipes, Sides & Salads and tagged Deviled Eggs, Filet Mignon and Brisket Burgers, Homemade French Fries, italian sausage, Memorial Day, Organic, Passanante's Home Food Service, Recipes, Smoked Bratwurst by Passanante's Home Food Service. Bookmark the permalink.